Osage Orange with wrapped birch bark handle. Made using a handmade traditional animal glue. Bowstrings are made custom per bow and are braided and served at the center by hand. 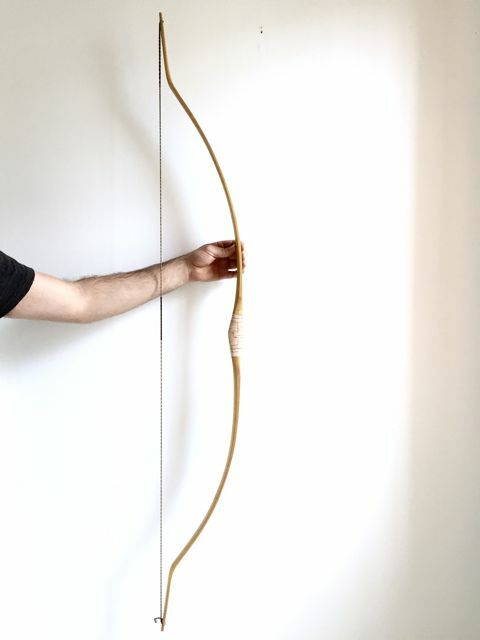 Champion Olympic archer Khatuna Lorig used this bow in the ESPN Body Issue '15.